Virtual Reality in Orthopaedics: Is It a Reality? Virtual reality (VR) simulation has been a requirement for airline and military pilots for decades and is only now being integrated into surgical training programs. Thus far, orthopaedic training programs have been slow to adopt VR training. We therefore asked (1) how VR has worked for other surgical specialties; (2) what VR solutions are available for orthopaedics; and (3) should VR simulation become part of the orthopaedic curriculum? An informal literature review was performed, searching for orthopaedically-oriented VR surgical simulators and comparing this to the number of programs available for general surgery teaching programs. An in-depth review of a VR simulator for knee arthroscopy is also presented. 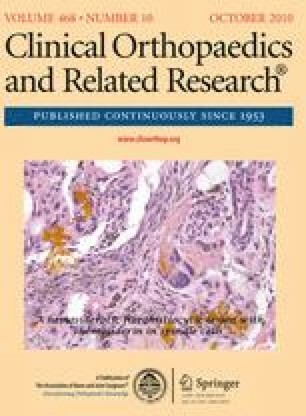 The number of papers specific to orthopaedics and VR is limited. VR is used effectively in other specialties, especially general surgery. VR simulators are readily available for shoulder and knee arthroscopy but not as well incorporated into training curricula. VR technology is available today for training programs. Integration of VR into the orthopaedic curriculum will save time in the OR, reduce operative errors, and improve the resident’s overall educational experience. The public will expect their surgeons to train on these simulators. Orthopaedic training programs should take advantage of the commercially available VR simulators for orthopaedic procedures and incorporate them into their training curricula. This effort could be led by the American Academy of Orthopaedic Surgeons (AAOS) and the American Board of Orthopaedic Surgery (ABOS), two of the primary sponsors of a major study in the effectiveness of VR simulators for knee arthroscopy. One or more of the authors (KDR) has received funding from the AAOS, AANA, ABOS, and SBIR in support of the development of KAST. KDR is also the director of simulation for Touch of Life Technologies. IRB approval has been obtained for all studies involving KAST. This work was performed at The University of Colorado Health Science Center, Denver, CO, and Touch of Life Technologies, Aurora, CO.